Nike Sports Camps is proud to announce another Toronto camp location. The Crescent School Winter Sports Camps will run December 27th-29th and January 2nd-5th while the March Break Camp will take place March 12th-16th. A state-of-the-art facility with 3 full sized indoor tennis courts, basketball courts, and soccer pitch, Crescent School is the ideal location for our indoor Sports Camps. Heading up our Tennis Program is our Head Pro and Co-Director, Zach Budd, who has over 12 years of experience in certified Tennis Instruction. 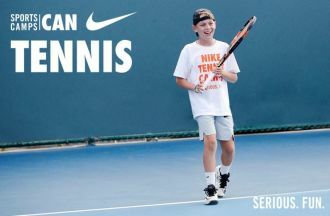 Open to boys and girls, ages 4-14, of all ability levels, Nike Sports Camps at Crescent delivers technical tennis instruction, as well as basketball, soccer, dodgeball, and various other multi-sport camp activities, from a top-notch coaching staff. Campers can choose between Half Day and Full Day options as well as participate in before and aftercare. Space is limited, so players are encouraged to register early. Sports Camps Canada (SCC) was founded in 2015 and is the official operator of Nike Sports Camps in Canada. SCC partners with the country's best coaches to direct our camps and provide them with valuable administrative and marketing support. We continue to grow thanks to an outstanding community of Camp Directors and the dedication of the entire Sports Camps Canada staff.